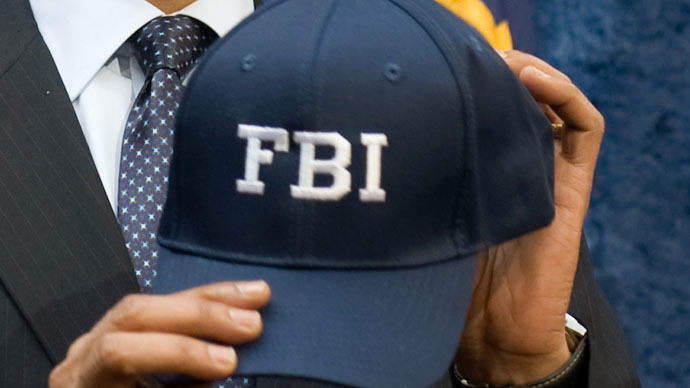 ​Documents provided by the Federal Bureau of Investigation suggest that the FBI has played a part in the National Security Agency’s surveillance operations to a much greater extent than previously acknowledged. AFreedom of Information Act requestfiled last year by New York Times journalist Charlie Savage prompted the FBI to release aredacted versionof an inspector general report from September 2012 in which the Department of Justice’s internal watchdog weighed in on the bureau’s use of a federal provision that permits the collection of foreign communications. It’s no secret the NSA relies greatly on the rule called Section 702, which comes from the amendments tacked on to the US Foreign Intelligence Surveillance Act in 2008, to collect internet and phone data from non-Americans reasonably believed to be located outside of the country. According to Savage, the FBI “has gradually become a significant player” with regards to administering the sweeping-up of signals intelligence, as indicated by the DOJ Inspector General report published by the Times on Monday. The 231-page report, Savage noted, contains a single, unredacted reference to “Prism,” the internet surveillance program used by the NSA to gather intelligence from major web firms, including Facebook, Yahoo and Skype, which was revealed publically for the first time in June 2013 by former government contractor Edward Snowden. It also contains details confirming the US spy agency has for more than five years shared its signals intelligence with law enforcement investigators within the FBI. That month, Savage explained, “the FBI started retaining copies of unprocessed communications gathered without a warrant to analyze for its own purposes.” And by April 2012, the report reveals, the FBI began “nominating” selectors, or certain search terms, queried within the NSA-collected database to aid with its own intelligence reporting. Previously, leaked documents provided by Snowden to The Guardian newspaper revealed that, although the NSA and other American agencies are barred from collecting intelligence on US citizens, the spy agency has since 2011 been authorized to search SIGINT data for details on specific individuals, American citizens included, once those records are whittled down from data unearthed during queries concerning non-US persons of interest. US President Barack Obama said in 2013 that a panel put together by the White House would review the intelligence community’s surveillance programs, and the committee’s subsequent report determined that particular aspects push the programs "close to the line of constitutional reasonableness." Privacy advocates and digital rights proponents have raised concerns about the program nevertheless, however, with Cindy Cohn, the legal director of the Electronic Frontier Foundation, writing last year that the review group’s recommendations for the White House still fell short of what could be accomplished to ensure proper protections are put in place for the communications by Americans. “The board skips over the essential privacy problem with the 702 upstream program: that the government has access to or is acquiring nearly all communications that travel over the internet,” she wrote. “The government's collection and search of Americans' communications without a warrant or individually approved court order is barred by the Constitution and must be stopped." According to Savage, the Times’ legal team may choose to challenge the 2012 inspector general report in court in the hope of having some of the redactions reversed before its release is reconsidered.